Axel Hermann Haig, Swedish, 1835-1921. 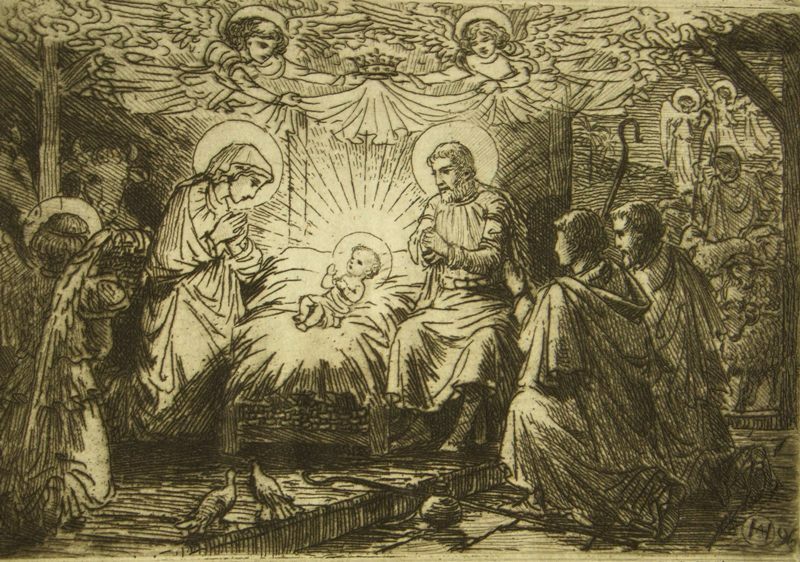 At the end of the nineteenth century, Axel Haig was one of Britain's most famous etchers. Haig was born and raised in Sweden, and initially studied naval architecture. He settled in London and worked for several architects. 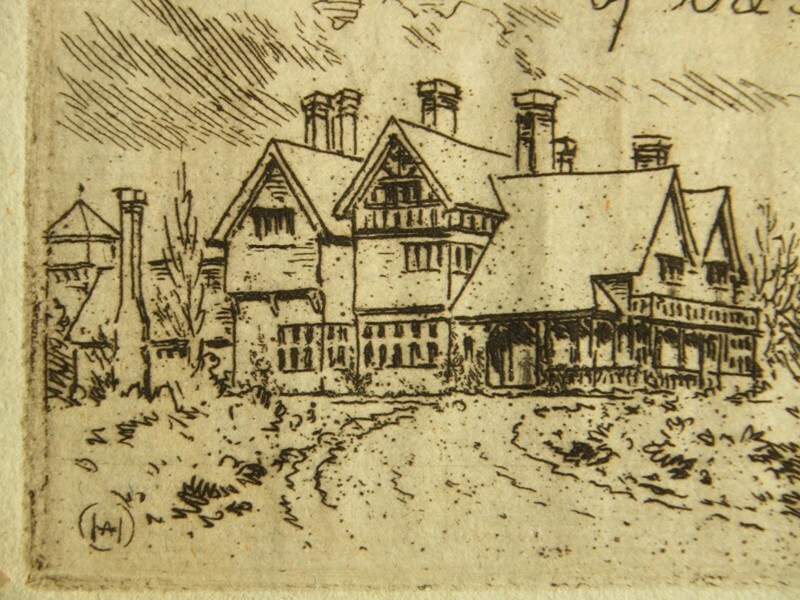 Haig studied etching in his spare hours and later began producing the large architectural views that made him famous. Axel Haig became a regular exhibitor at the prestigious Royal Academy. 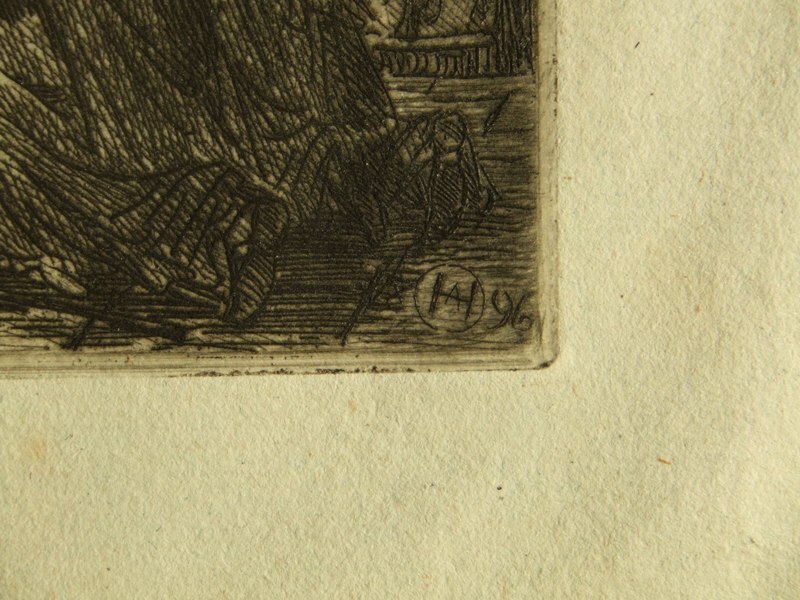 He was also a full member of the Royal Society of Etchers and Engravers. 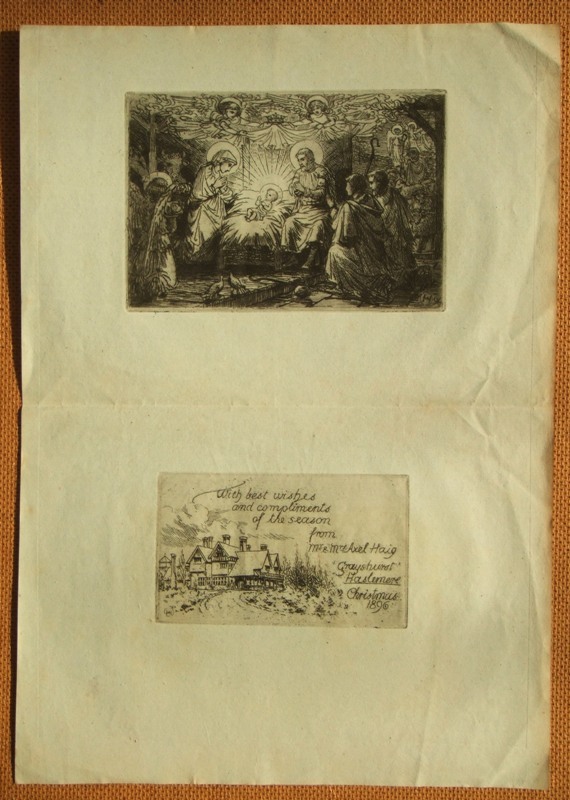 Two very fine and ultra rare etchings which have bright and unfaded colouring in a dark brown ink, with superb detailed line work and fine plate toning, The Nativity image measures approximately 12 cms. x 8 cms. 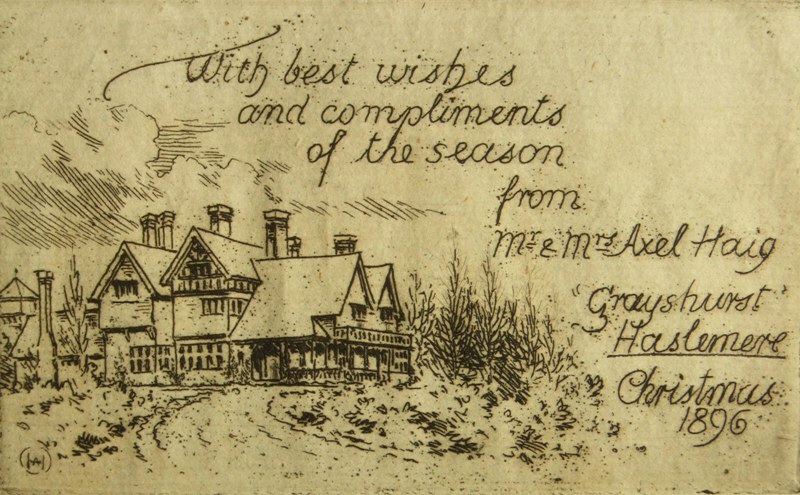 (4¾ x 3 ins) within a strong platemark and impression and the Best Wishes etching measures approximately 9 cms. x 6 cms. (3½ x 2¼ ins) printed on a laid paper sheet approximate size 20 cms. x 28 cms. (8 x 11 ins) with full margins and makers watermark. 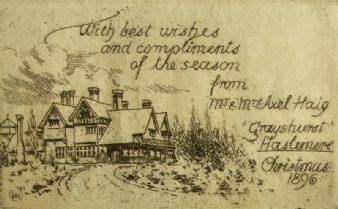 The sheet is signed in both etchings by the artist. Unframed and unmounted, blank on the reverse, the condition of the images and sheet is excellent with handling marks condusive with age.